Are you overdue for a girls’ night? Summon your best girlfriends and join us for a REDBOOK Happy Hour Twitter Party as seen on Friday’s New York Times. REDBOOK readers are hosting Happy Hour House Parties across the nation, and REDBOOK’s July issue is full of tips on how to turbo-strengthen your friendship with your girlfriends and how to host a girlfriend party at your home. For our Twiter Party, we also gathered the best experts on female friendships, hosting girlfriend parties at home and living life to the fullest. Join us for a fun REDBOOK Twitter Party and get inspired to host your own girlfriends’ party! July’s Cover Star Brooke Burke will be answering YOUR questions about girlfriend parties and friendships during our #REDBOOKhh Twitter party! Submit your questions now, and @REDBOOKmag will publish the answers from Brooke Burke during our Twitter party. Submit your questions for Brooke Burke on Twitter by Thursday June 16, 3PM EST by directing them to @REDBOOKmag and @BrookeBurke and use the hashtag #REDBOOKhh. Dawn Sandomeno & Elizabeth Mascali, party planning experts and authors of Plan to Party, owners of Party Bluprints, a real girls’ resource for entertaining in style at home. 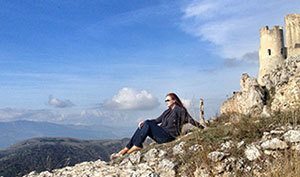 Debba Haupert, expert on female friendships, owner of Girlfriendology, a website of inspiration, appreciation and celebration of Girlfriends. 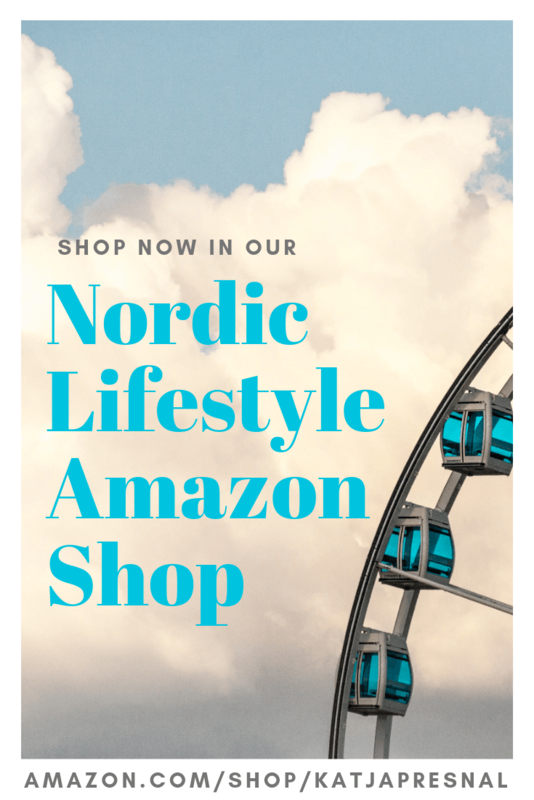 Katja Presnal, lifestyle expert and owner of Skimbaco blog network that inspires women to live life to the fullest. Have Fun & Win Prizes! During our Happy Hour Twitter party, we will be giving away fabulous prizes! Remember to follow @REDBOOKmag to win! REDBOOK will also be giving away magazine subscriptions for their Twitter followers on Tuesday, June 21, 2011. WHERE: On Twitter on your computer! 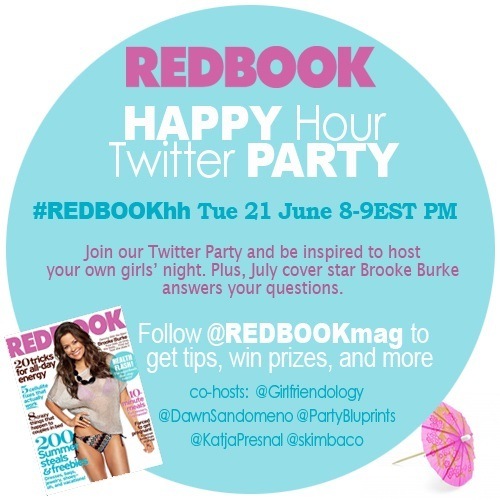 Follow and use the #REDBOOKhh hashtag during the party, you can also use the Tweetgrid we created for the party. FUN: Your questions answered by Brooke Burke on @REDBOOKmag Twitter account! Tips how to be a better friend; home party tips from lifestyle & party planning experts and giveaways. FOLLOW: Follow @REDBOOKmag, @partybluprints, @skimbaco, @DawnSandomeno, @KatjaPresnal and @Girlfriendology and RSVP below in the Linky tool so we can all follow each others. NOTE: You will have to follow @REDBOOKmag to win prizes during the Twitter party. Disclosure: This post is sponsored by Redbook magazine.